OVERLAND PARK, Kansas - April 5, 2019 - Hoppe’s, the best-known name in gun care products, is proud to have been named the Official Gun Cleaning Product of the United States Practical Shooting Association. "Hoppe's and USPSA are a great fit,” said Mike Foley, President and CEO of USPSA. Founded in 1984, USPSA is the national governing body of competitive practical shooting in the United States under the International Practical Shooting Confederation. The USPSA provides a wide range of challenging competitive opportunities that pit participants against shooters of similar skill levels in distinct divisions geared to various handguns, rifles, and shotguns. The association welcomes new shooters of all ages and abilities, and offers club matches, including Steel Challenge events all over the country. 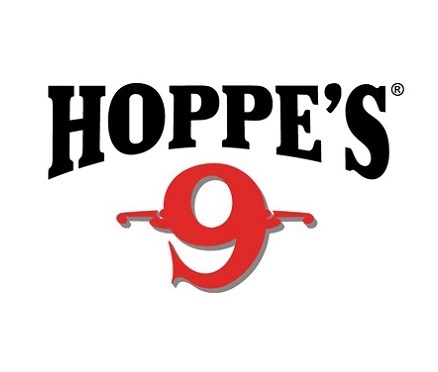 Hoppe’s 9 remains the most widely used remover of powder, lead and metal-fouling rust on the market. The brand provides a full line of gun care products, including Hoppe’s Black, Traditional, Gun Medic, Elite, Bore Snakes, cleaning kits and tools, and accessories. Further, the team at Hoppe’s is passionate about helping shooters. 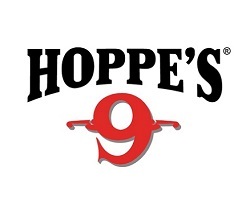 Hoppe’s, a Vista Outdoor brand, serves shooters of all disciplines, and offers gun care products that meet the rigorous standards Frank Hoppe established more than 115 years ago. Visit the website at www.hoppes.com. In 1903, Frank August Hoppe mixed nine chemicals and created the world’s most effective gun cleaner. As a well-trained young soldier, Frank knew that gun care went far beyond just a clean rifle, but actually helped to ensure his safety while on the front lines of battle. Since that time, Hoppe’s has emerged as the leading gun care company, having grown along-side hunters, shooters, and soldiers who depend on their firearms every day. It has remained the most trusted name in gun care by advancing and evolving technologies to meet those needs. From the ever-popular and versatile No. 9 and the quick and easy BoreSnake, to the marvel of efficiency we call Gun Medic, Hoppe’s is the only name you need to know for firearm cleaning and protection. For more information, visit www.hoppes.com, connect on Instagram at www.instagram.com/hoppesguncare/ or on Facebook at www.facebook.com/hoppesguncare.